The opposition in both Houses of Parliament will meet at 9:30 a.m. today to discuss fresh strategy to counter the Center's move to demonetise high value currency notes. "Monday morning plan. 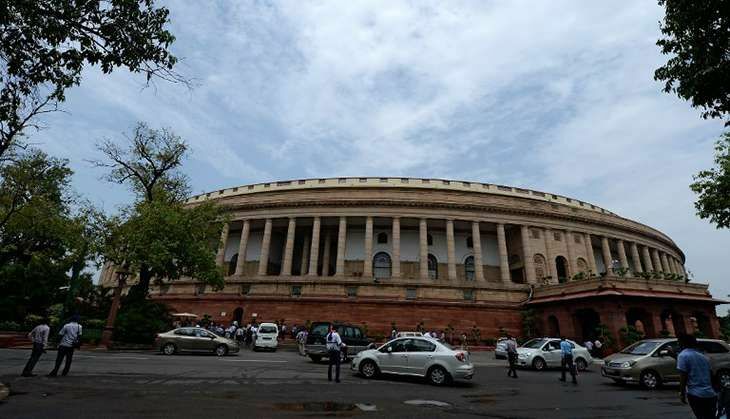 Parliament Both Lok Sabha and Rajya Sabha leaders of about 10 Opposition parties meeting at 930 a.m. Hmmm," Trinamool Congress (TMC) national spokesperson Derek O' Brien tweeted. Meanwhile, the Bharatiya Janata Party (BJP) has issued a whip to its Rajya Sabha members, asking them to be present in the House for the next three days starting today. Both the Houses of Parliament witnessed a stormy debate over demonetisation during the first three days of the winter session. The CPI (M), in a statement, said, "Instead of immediate measures to bring relief to the people, the government has now reduced the limit of exchanging notes per person from Rs. 4,500 to Rs. 2,000. This will hit hard the poorer sections."